Check class titles for locations. Bring water, towel and wear athletic shoes. Showers at all locations, no towel service. Prior to outdoor classes, you can lock belongings at basecamp gym. Classes start/ depart on time so please arrive early. 90 Canal St (indoors & outdoors): Metered parking, on the Green and Orange Line at North Station. Building is locked in the mornings, someone will come let you in. 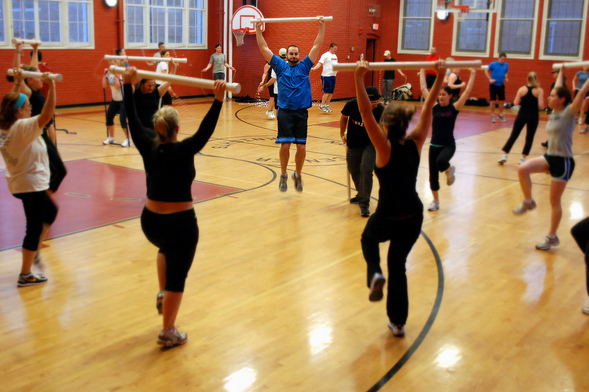 Beantown Bootcamp's talented trainers help tone bodies of all fitness levels via an assortment of year-round indoor and outdoor group exercise classes. Specialty classes include Tread and Shred, Cardio Kettlebells, Burn90, and WOD. Offering over 5 classes daily, T accessible, onsite parking, and a guaranteed great workout!